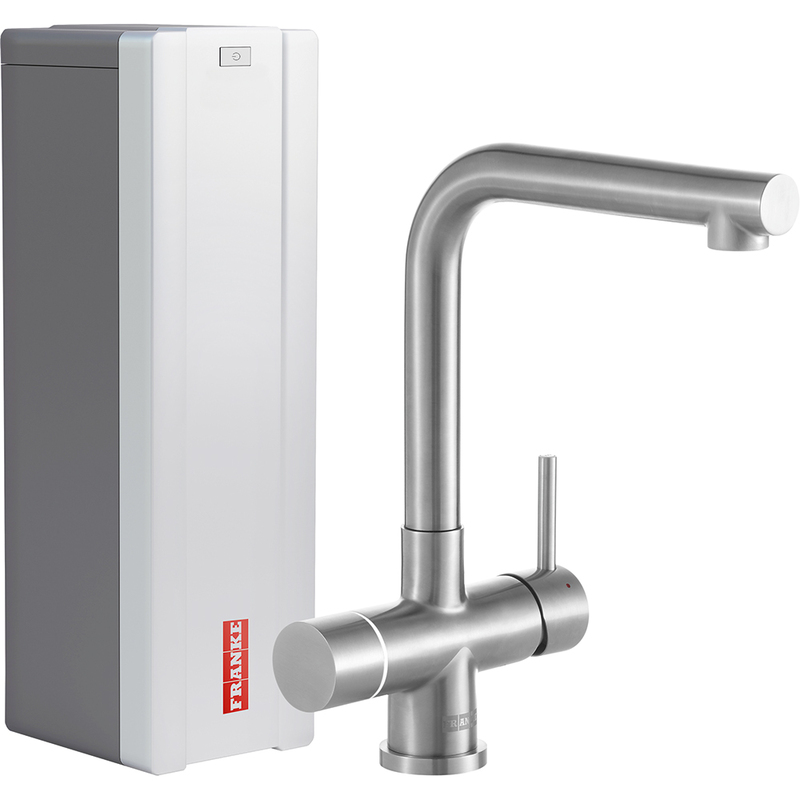 The electronically controlled Minerva 4-in-1 tap delivers 100° boiling, warm or cold filtered water in an instant. At the same time, it frees up worktop space by removing the kettle from the kitchen as well as helping to speed up preparation and cooking times. 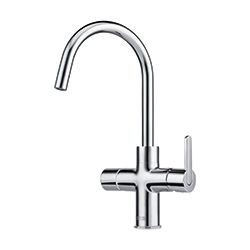 Also designed to deliver fresh tasting filtered water; you'll never need to buy bottled water again and the simple to change filter will remove impurities and lower water hardness while retaining valuable minerals. 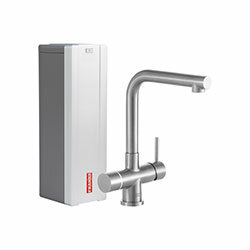 Designed to offer fast and intuitive access to the four water options, a separate electronic dial dispenses the instant filtered 100°C filtered boiling and filtered cold water, while standard mains hot and cold are operated by a single lever. Pressing in the electronic dial wakes the tap from its safety standby mode when the dial glows white. For 100°C boiling water, select the red light and pressing the dial in twice will automatically dispense 60 seconds worth of water, enough to fill a pan. 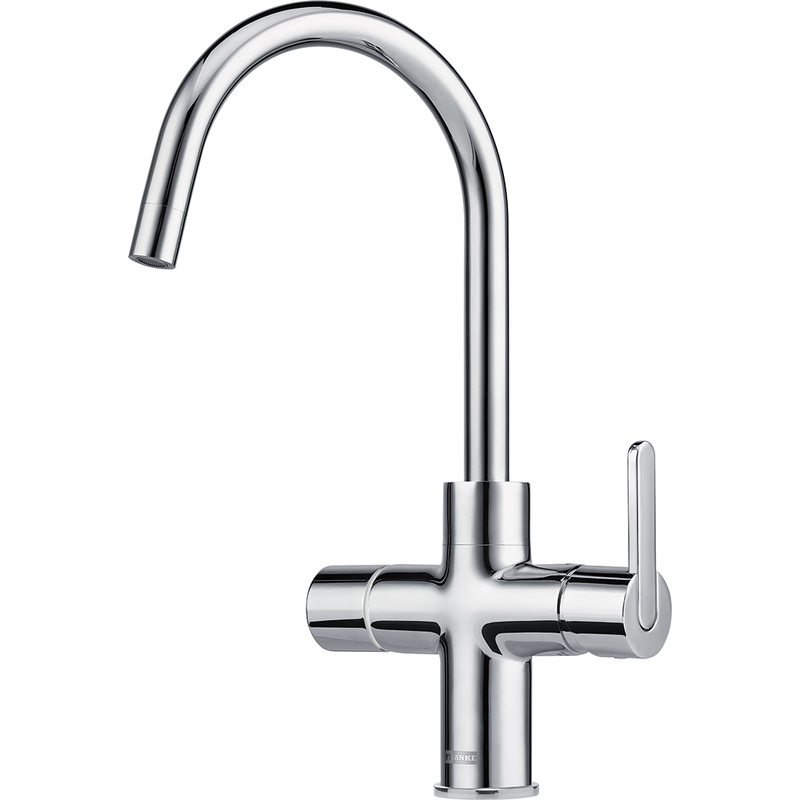 Select blue for cold filtered water and a double press of the dial will dispense water for 30 seconds. The flow of water in each case can also be controlled manually by turning and holding the dial to give more or less water than the pre-set options. The user can select which mode best suits the task in hand.